Gain even more savings by combining your accommodations and flights. 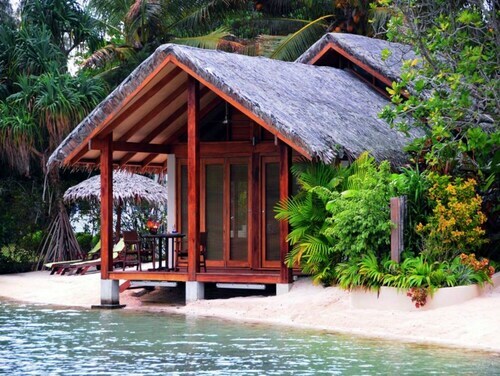 Expedia has plenty of amazing Pele Island vacation packages that'll simplify things and give you more money to spend! 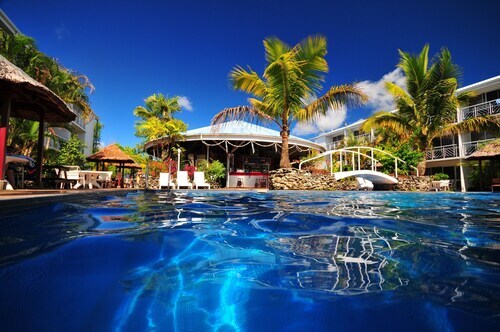 If you secure a package deal on Expedia, you can save up to C$590*. Our expansive database features more than 400 partner airlines and 321,000 worldwide properties. With such a wide range of options, you can't go wrong! If you change your travel plans, we will honor your cancellation request on nearly all bookings with no added fees. Itinerary need filling up? Pele Island vacation all organized but unsure what you're going to do when you arrive? Let us make it easy. Forget your history journals! Witness the past jump off the page at National Museum. There's an excellent range of things to do in and around this destination. Sometimes tranquil, sometimes thunderous — there are few things as breathtaking as a waterfall. Secure a good vantage point and watch Mele Cascades surge, splash and plunge over the edge of the cliff. Still got some time on your hands? Don't head home without going mountain climbing, a popular activity waiting for you in Vanuatu. There are currently no Pele Island properties on Expedia. However, Mele Bay, located 17 miles (27 km) away, has a good selection of options available. The Vale Vale Beachfront Villas, Villa 25, Paradise Cove Resort, The Terraces Boutique Apartments, Erakor Island Resort & Spa, Iririki Island Resort & Spa, Warwick Le Lagon - Vanuatu, Poppys On The Lagoon, Holiday Inn Resort Vanuatu, Cocomo Resort, Mangoes Resort, Breakas Beach Resort, Nasama Resort, Coco Beach Resort, Grand Hotel and Casino, Island Magic Resort, Fatumaru Lodge Port Vila, Chantillys on the Bay, Angelfish Cove Villas, Tropicana Lagoon Apartments, Pacific Lagoon Apartments, Kaiviti Motel, Vila Chaumieres, Mariner Apartments, Hideaway Island Resort, Ocean View Apartments, Moorings Hotel, The Melanesian Port Vila Hotel, Quest Apartments, Tradewinds Villas, Benjor Beach Club, Coconut Palms Resort, Vanuatu Holiday Hotel, Tara Beach Bungalows and Paray Lodge - Hostel are among the most popular options in Mele Bay. 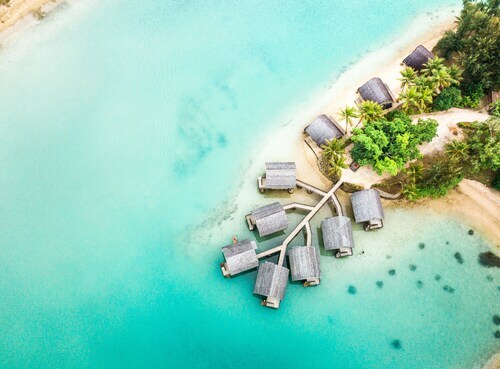 The airport probably won't be the most enjoyable moment of your vacation, but there's nothing like the thrill of knowing that your well-earned trip to Pele Island is not long away! Once the wheels hit the tarmac at Bauerfield Airport (VLI), you'll be 15 miles (24 km) from the heart of town. 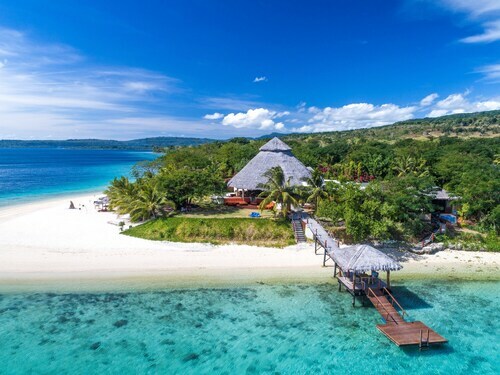 Nestled on the beach, this Port Vila resort is within 1 mi (2 km) of Port Vila Market and Iririki Island. Parliament House and National Museum are also within 10 minutes. 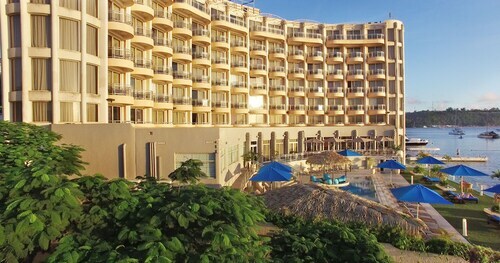 This family-friendly Port Vila hotel is located on the Strip, within 1 mi (2 km) of Port Vila Market and Iririki Island. National Museum and Parliament House are also within 10 minutes. Located in Port Vila, this beachfront resort is on the riverwalk and within 1 mi (2 km) of University of the South Pacific and National Museum. Port Vila Market and Iririki Island are also within 2 mi (3 km). Located in Port Vila, this beachfront hotel is in the city center and within 1 mi (2 km) of Parliament House and Iririki Island. National Museum and Port Vila Market are also within 1 mi (2 km). 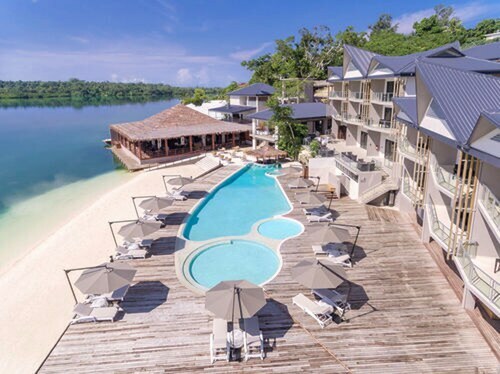 Nestled on the beach, this Port Vila hotel is 0.9 mi (1.5 km) from University of the South Pacific and 2.2 mi (3.6 km) from Iririki Island. National Museum and Parliament House are also within 2 mi (3 km). This Samoa Point hotel is on the beach, 0.6 mi (1 km) from Havannah Harbour, and within 12 mi (20 km) of Mele Bay and Mele Cascades. Port Vila Golf Country Club and Wet N Wild Zorbing are also within 16 mi (25 km). Situated in the entertainment district, this spa hotel is close to Parliament House, National Museum, and Iririki Island. Nearby attractions also include Port Vila Market. 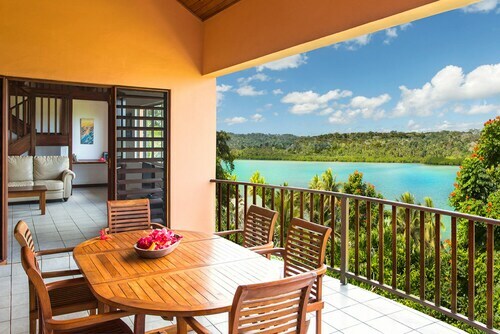 Offering direct access to the beach, this Port Vila hotel is within 1 mi (2 km) of National Museum and Iririki Island. Parliament House and Port Vila Market are also within 1 mi (2 km). Mon., 6 Jan. - Mon., 20 Jan.